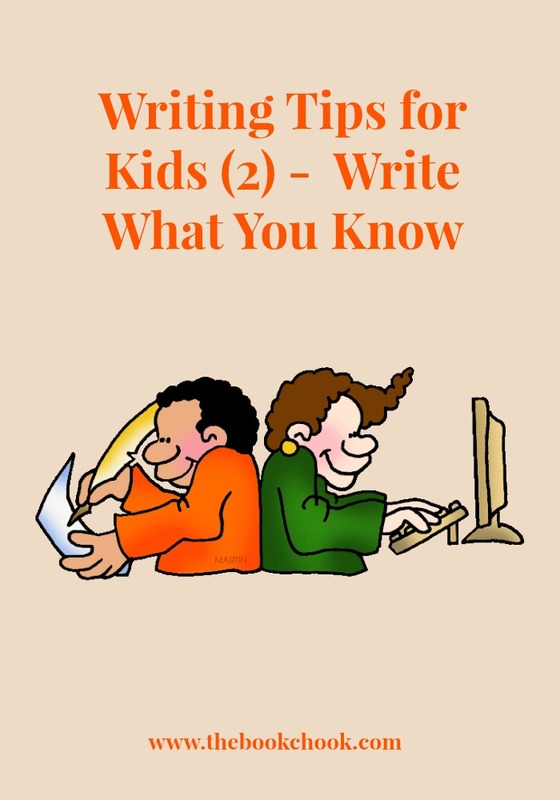 This is the second in my new series of writing tips for kids. Over coming weeks you’ll see new short articles, each of them addressing young writers and dealing with a topic helpful to them. I’ve created a new List for these articles and will add to it over time. The List is embedded below. If you're choosing your own subject to write about, why not start with your own life? Writers call this "write what you know". If you love fishing, you could set your story near the water, and have your main character be a keen fisherman. If you once broke your arm, use that in a story sometime. Think back. Remember the pain, remember the way things looked, sounded, smelled at the emergency ward. Try to use words that draw your readers into the story, by appealing to their senses of sight, hearing, smell, taste and touch. It doesn't mean you can't write a story about aliens with googly eyeballs and blue tentacles. Or one about being captured and held prisoner by pirates. But when you do write your story, be sure to tap into your own life. If your main character is afraid, remember a time you were afraid. What happened in your body? Did the little hairs at the back of your neck prickle? Did your heart beat faster? What thoughts raced through your mind? Were you trying to be brave or perhaps convinced you were about to die? Use those feelings to help pull the reader into your story. When you want to write a story about being a soldier for Anzac Day, if you haven't ever been in a war, how can you "write what you know"? Sometimes, we "know" things from reading or watching movies about them. But the best kind of "knowing" is real experience. Say your main character is trying to dodge bullets at Gallipoli. How do you imagine he's feeling? Scared? Close your eyes and try to remember a time you were really scared. What would a battle sound like? When you've heard loud sounds in your life, how did you react? What would an explosion smell like? Feel like? Jot down the words that come to mind and use your ideas in sentences to create a realistic scene for the reader. Writers need to become observant. Be aware of the way things look, sound, smell, taste and feel with everything that happens in your life. Use your experiences, and your imagination to create your own stories, and you'll have readers coming back for more. You might also like to read Writing Tips for Kids - How to Start.